Anyone looking to add a little mood to their environment whilst listening to music might be interested in a new and very unique lighting system called the Ion. The Ion is equipped with Bluetooth low energy connectivity allowing you to control it directly from your smartphone or tablet device. 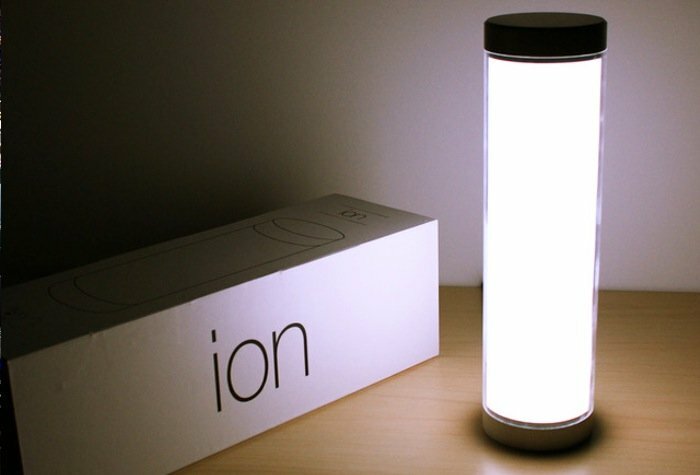 The Ion light responds to music and has a number of different modes for you to choose choose from. learn more in the video after the jump. “We demonstrated Ember, Torch, and the LED lamp at Social Media Day Detroit 2013. We quickly discovered that visitors were more interested in where they could purchase the lamp than Ember & Torch. Due to this overwhelming positive response to the lamp, we knew it was time to take it to the next level and create a consumer product. ION was born. When setting out to build ION, we wanted to create something fun and beautiful. We love light and music, so we knew our device had to incorporate both. We’ve been working to push the boundaries of what can be done with LED lighting, and we’re very excited to showcase our creation.